Well of Wonders is a Thunderkick powered video slot with no reels and paylines. This is a unique slot with an amazing interface. Graphics are next to magic and textures are just wonderful. As you spin wonders from a well, you will enjoy some relaxing music playing in the background. The aim of Well of Wonders is to get three same stones at least, getting out of the magic well at the start of the round. The amount of bet for every round varies from 10 cents to £100. Players are required to select an amount stake before clicking the start button. Seven stones will shoot out of the well into the air. If at least three of these stones are the same, you will receive a payout. The location of the stones on the screen doesn’t make any difference. When these stones disappear, new elements will be displayed, and in the event that new combinations are formed, the payoff is doubled. Wins are subject to a 2x multiplier at every new level up to 32x. 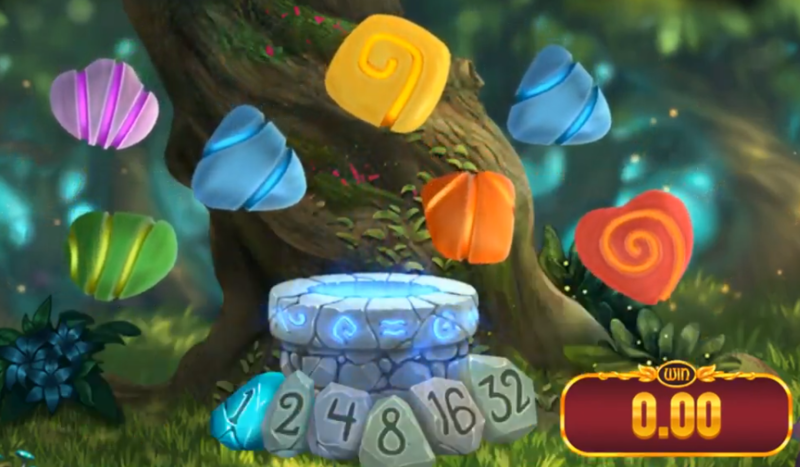 All the possible combinations are provided with a unique multiplier used to calculate the wins. If you stake £1, payoffs vary from 20 cents to £50. We will be discussing prize options and exceptions from general rules in this post. User settings provided here are the size of the screen and the sound parameters. Since the game was designed to be played on a browser, you don’t need to download it. 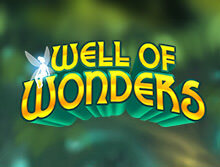 Well of Wonders is the ideal game for fans of uncommon gambling entertainment on the internet. Advantages of this model are the great number of payoffs, unordinary gameplay and a beautiful design with brilliant animation effects. In addition, this model has a low volatility and an average payback. You can play this game for fun or for real money.